I would love to meet Bertha Cutler Kuhn, my 3rd great-grandmother. She was born in Plymouth, Richland County, Ohio on December 28, 1841. Bertha is one of those relatives that I know just enough about to be dangerous. As I have written in a previous post, I was blessed enough to have a letter written by Bertha to her husband during the Civil War. This link made me feel a certain connection to Bertha as I have also been at home with a small child while my husband was at war. But this was all I had. 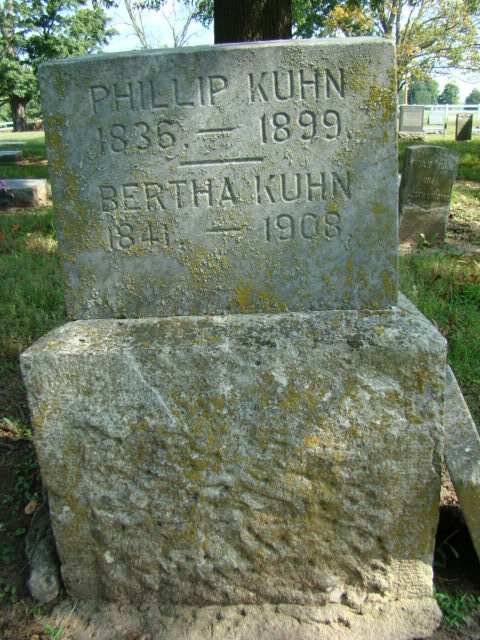 Bertha's obituary lists her maiden name as Cutler and her birthplace as Plymouth, Ohio. I found her on the 1850 census in Richland County, Ohio. She lived with her father, James, her mother, Eliza, and her brother, Robert. 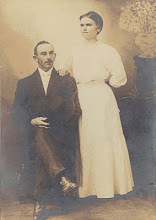 Today as I was preparing to write about why I would like to meet Bertha, I decided to try and find out more about her parents, as they have been one of my brick walls. I have a copy of her brother Robert's obituary which states his mother was Eliza Bodine of Richland County, Ohio. But I have been unable to track more about this family. I cannot even find a death date for James Cutler. To try to "backdoor" my research I decided to look for more information on a third sibling: Mary Cutler. Mary was born in 1853 according to my research. But I lose track of her after her listing at age 17 on the 1870 census. At that time she is still living with her father in Richland County. On Ancestry.com there is a link to a family tree for Mary. That tree states that her husband was Milton H. Myers. I have no idea if this information is accurate, as it is not sourced. So, I take a cautious step and look for information on Milton, hoping to find a connection back to Mary, and ultimately back to the Cutler family. On FindAGrave.com I find headstones for both Mary and Milton. The headstone states that Milton was a member of the 110th Ohio Volunteer Infantry during the Civil War and a member of the Grand Army of the Republic (a fraternal organization of Civil War Veterans). With this information in hand I turned back to Google. I now searched for Milton Myers and Civil War and wonders upon wonders a link to the Wichita State University Special Collections page came up. They have in their archives a collection of documents from Milton Myers: Milton H. Myers Collection of Civil War Documents. The collection includes documents collected by Milton Myers during his time as a sergeant with the 110th O.V.I. The Special Collections branch of the library has included a list of all the items in the collection, and as I browsed through it I was especially piqued by what was in Box 1, file folder 12: "Photocopy of the "Genealogy and History of the Branch of the Bodine Family Founded by John Bodine: A soldier of the Revolutionary War and a pioneer of the State of New Jersey." It was written and compiled by Maude Cutler Scholfield. This work tells the genealogy and history of Milton H. Myers' wife, Mary Eliza Cutler." Here we have Cutler and Bodine in the same area. I was floored and realized this could be a roundabout way through my brick wall. Needless to say, I have contacted the library to determine if I may be able to get a copy of some of the files in the archive. I still want to meet Bertha Cutler, but now I have a whole different set of things I would ask her!